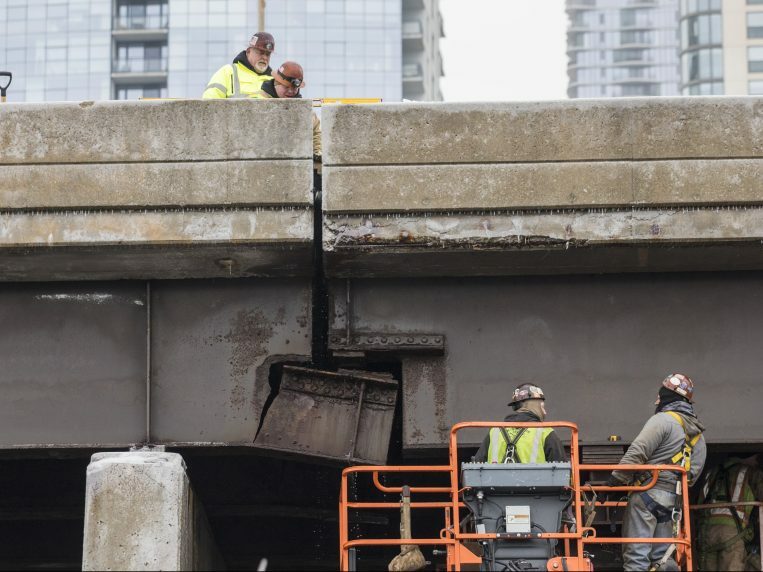 Last month, a section of Chicago’s North Lakeshore Drive closed due to a “structural emergency”, which consisted of cracks and section loss on both the deck and substructure of the road. An inspection in 2017 initially noted the damage, but at that time it was rated “fair” and nothing was done about it. Two years later, with the wear and tear of an estimated 55,500 vehicles per day, combined with January’s historic cold snap likely accelerating the problem, the damage became painfully obvious and was reported, luckily, before any kind of catastrophe. When infrastructure catastrophes happen they are devastating in terms of life lost and expense to a city. The 2007 collapse of the Interstate 35W bridge in Minneapolis killed 13 people and left 145 injured, and it cost the city’s economy more than $400,000 a day until it was repaired. “When you’re failing to make the necessary investments to keep your infrastructure in shape, then you can get into these crisis situations,” said Alison Black, chief economist for the American Road & Transportation Builders Association in Washington, D.C.
Not only does prioritizing regular maintenance protect lives, it saves money. The return on investment “can be anywhere from $3 to $7 or $8” on every dollar spent by governments making significant investment in infrastructure, said Black. The same is true for the maintenance of commercial buildings. The exact cost savings gained will depend largely on things specific to your company (industry, equipment, size of facility, etc). However, it’s generally accepted that preventive maintenance on commercial buildings costs three to four times less than reactive maintenance, i.e. waiting until something breaks to fix it. Take your air conditioning unit, for example. When the system sits unused all winter, a buildup of dirt and sludge forms. Simply cleaning the coils before warm weather begins is going to be less expensive than the high operating costs of the dirty, inefficient unit, or worse, the total failure of the unit. Some other things that pay to inspect regularly in your commercial building include doors (door sweeps, door stops, sticking locks, etc. ), corner guards, ceiling tiles, tile and grout, peeling paint and/or rotting wood (especially around windows), bathroom fixtures, light switches and faceplates, and fire extinguishers. Downtime, accidents, poor efficiency and other compromised operations can be much more costly and overwhelming than embracing a preventive maintenance program. The lesson is clear: solve the problem before it becomes a problem. A complete preventive facilities maintenance program should include HVAC, electricity and lighting, equipment, and general facility maintenance. Typically monthly inspections are performed, in addition to more in-depth quarterly and annual inspections. Unsure about how to put a proper preventive maintenance program in place? You can learn more about Strada Real Estate’s preventive maintenance program here.